For all the pet lovers out here, we want to share you a very interesting crochet tutorial. 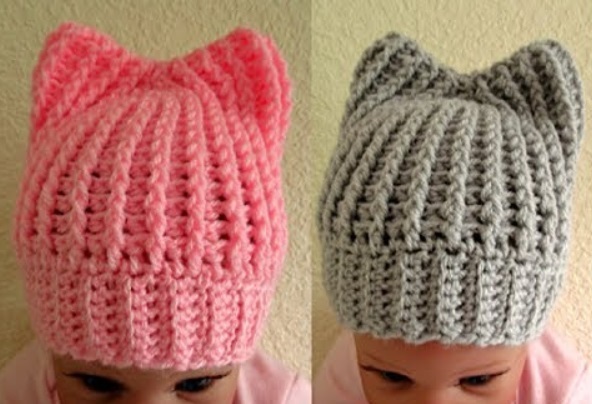 Yu are going to learn to crochet a pretty hat with crocheted cat ears on top of it. How we know that this is a cat ears, well we don’t, we just assume because we like cats. The hat might be a great addition to you wardrobe and boy it will look amazing on kids. The tutorial is very clear and rather easy to follow. Make sure to drop a comment and share this tutorial with your friends. Happy kitty crocheting, may we say.